This session will showcase how Facebook and other social network concepts and approaches can be used to promote social learning in health care teams, both for online and for combined online and face-to-face learning. The underlying problem is that frequent chronic conditions such as diabetes, ischemic heart disease, asthma or depression account for most of the burden of disease of the population, including outpatient visits, hospitalizations, health-related quality of life, mortality and health care costs. The chronic care model provides a framework to address chronic conditions, and it requires teamwork. Interprofessional practice-based learning of health care professionals and teams is therefore necessary. How can we address training of large numbers of professionals and teams in frequent conditions, such as the ones mentioned above, in a manner that allows for reflection and practice change? One possibility is to include qualitative and quantitative information about contacts of course participants, and then use this information the same way Facebook and other social networks use it, to automatically allow for an exchange with your closest peers, rather than with a random selection of group members. This also allows to scale up the size of online courses, since the number of tutors required to foster exchange may diminish, as discussions occur among known peers. The first challenge is how to gather the contact information from the participants in a way that both the existence and strength of the links are obtained. The second challenge is how to use this network information to create mathematical algorithms to split the course attendees into groups while maximizing the interpersonal connection among group members. The last and final challenge is how to use information produced before to improve the user experience and to generate both face-to-face and online meaningful discussions, intended to change clinical practice. This session is based on the methodology published in JCEHP by one of the panelists (1), and the results of a government-funded research project (2) based on this methodology. It will describe, by showcasing actual educational programs that used it, the process mentioned before, the professional profiles needed to implement it, the results and what else could be achieved in the future. Participants of this session will therefore understand what they need to do, in order to apply this methodology in their own settings. Contin Educ Health Prof. 2015 Summer;35(3):211-9. 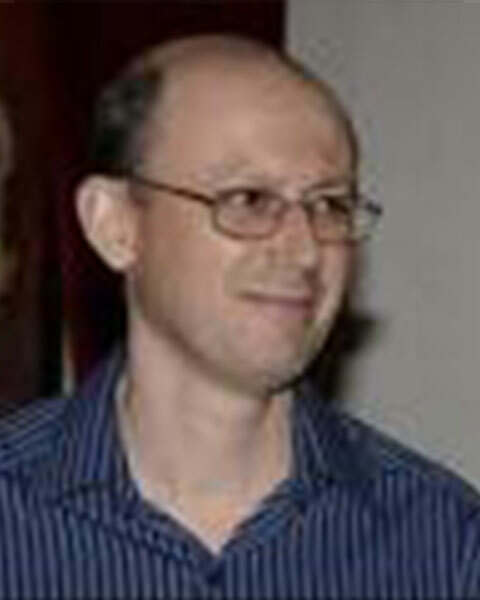 Dr. Margolis is an internist from Uruguay with a Master's degree in Medical Informatics from the University of Utah. Dr. Margolis is Meetings/Education Committee Chair of the Global Alliance for Medical Education (GAME), Associate Editor of Applied Clinical Informatics, Member of the Advisory Committee of 2016 CME Congress (San Diego). Founding Member of the International Academy of Health Sciences Informatics, Vicepresident for Medinfos of the International Medical Informatics Association (IMIA), President of EviMed, a CME company working in the Americas. Bio: Dr. Margolis is an internist from Uruguay with a Master's degree in Medical Informatics from the University of Utah. Dr. Margolis is Meetings/Education Committee Chair of the Global Alliance for Medical Education (GAME), Associate Editor of Applied Clinical Informatics, Member of the Advisory Committee of 2016 CME Congress (San Diego). Founding Member of the International Academy of Health Sciences Informatics, Vicepresident for Medinfos of the International Medical Informatics Association (IMIA), President of EviMed, a CME company working in the Americas. Dr. Balmer was appointed as the first full-time Director for Continuing Medical Education (CME) of the University of Virginia School of Medicine in December 1990. Under her leadership, the Office of CME demonstrated significant growth in meeting the educational needs of physicians and other healthcare professionals. Over the past 26 years, the number of accredited CME activities has grown to a yearly average of 220 activities. Since 2014, she provided strategic direction for the creation of the CE unit and serves as the Co-Lead Nurse Planner for the School of Nursing. She holds faculty appointments in the School of Medicine and Nursing. Jann Torrance Balmer PHD RN currently serves as the Chair of the Commission for Accreditation for the American Nurses Credentialing Center (ANCC). She was recently inducted as a Fellow in the American Academy of Nursing. Dr. Balmer served as the President, Past President and Board Member of the Alliance for Continuing Education in the Health Professions (formerly Alliance for CME) from 2005 -2012 Dr. Balmer received the Distinguished Service Award from the Alliance for CE in the Health Professions in 2014. Dr. Balmer represented the Alliance as a Co-Chairman for the 1st China International Conference on Continuing Medical Education She also served on the Board of Directors for the Global Alliance for CME, and as the Chair of the Program Committee .Dr Balmer serves as a speaker at national and international continuing education conferences on interprofessional CE, accreditation, and innovative approaches continuing professional development and performance improvement. Dr. Balmer was actively involved as a volunteer for the Accreditation Council for Continuing Medical Education from 1993-2005. She served on the Accreditation Review Committee from 1994-2000, serving as vice chair in 1998, and chair in 1999 and 2000. Dr. Balmer was named the 2003 Willard M. Duff, PhD Award for exemplary and long-term service to the ACCME and also awarded the Robert Raszkowski MD PhD ACCME Hero Award in 2007. Ms. Balmer holds a Bachelor of Science degree in nursing from the University of Pittsburgh, Master of Science in child health nursing from the State University of New York at Buffalo, and a Ph.D. in higher education administration from the University of Pittsburgh. Prior to accepting her present position, Ms. Balmer served as Nurse Clinician, Division of Pediatric Cardiology, University of Virginia Department of Pediatrics (1985-90); Staff Nurse, Pediatric Unit, University of Virginia Medical Center (1984-85); and Assistant Professor of Nursing Undergraduate Program University of Pittsburgh School of Nursing (1980-83). Bio: Dr. Balmer was appointed as the first full-time Director for Continuing Medical Education (CME) of the University of Virginia School of Medicine in December 1990. Under her leadership, the Office of CME demonstrated significant growth in meeting the educational needs of physicians and other healthcare professionals. Over the past 26 years, the number of accredited CME activities has grown to a yearly average of 220 activities. Since 2014, she provided strategic direction for the creation of the CE unit and serves as the Co-Lead Nurse Planner for the School of Nursing. She holds faculty appointments in the School of Medicine and Nursing. 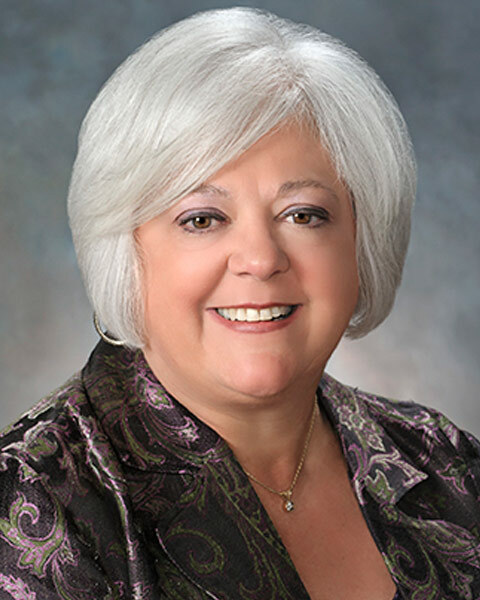 Jann Torrance Balmer PHD RN currently serves as the Chair of the Commission for Accreditation for the American Nurses Credentialing Center (ANCC). She was recently inducted as a Fellow in the American Academy of Nursing. Dr. Balmer served as the President, Past President and Board Member of the Alliance for Continuing Education in the Health Professions (formerly Alliance for CME) from 2005 -2012 Dr. Balmer received the Distinguished Service Award from the Alliance for CE in the Health Professions in 2014. Dr. Balmer represented the Alliance as a Co-Chairman for the 1st China International Conference on Continuing Medical Education She also served on the Board of Directors for the Global Alliance for CME, and as the Chair of the Program Committee .Dr Balmer serves as a speaker at national and international continuing education conferences on interprofessional CE, accreditation, and innovative approaches continuing professional development and performance improvement. . Dr. Balmer was actively involved as a volunteer for the Accreditation Council for Continuing Medical Education from 1993-2005. She served on the Accreditation Review Committee from 1994-2000, serving as vice chair in 1998, and chair in 1999 and 2000. Dr. Balmer was named the 2003 Willard M. Duff, PhD Award for exemplary and long-term service to the ACCME and also awarded the Robert Raszkowski MD PhD ACCME Hero Award in 2007. Ms. Balmer holds a Bachelor of Science degree in nursing from the University of Pittsburgh, Master of Science in child health nursing from the State University of New York at Buffalo, and a Ph.D. in higher education administration from the University of Pittsburgh. Prior to accepting her present position, Ms. Balmer served as Nurse Clinician, Division of Pediatric Cardiology, University of Virginia Department of Pediatrics (1985-90); Staff Nurse, Pediatric Unit, University of Virginia Medical Center (1984-85); and Assistant Professor of Nursing Undergraduate Program University of Pittsburgh School of Nursing (1980-83).